Founded in 2012, Titania is a certified woman owned, service disabled veteran owned (WO, SDVO) small business focused on delivering valued services to our federal clients and their critical missions. These services include enterprise solutions, systems and software engineering, design, and development; information technology (IT); test engineering/IV&V; SharePoint design and development; knowledge management/information management and sharing (KM/IM); enterprise information and cyber technology; and operational intelligence and training. Our founders and corporate leadership have spent their careers in uniform, government service, and in growing and managing service organizations of excellence; building and earning a reputation of quality, superior customer support, ethical conduct, and dedication to partnership. Titania functions with large business sophistication and acumen and small business agility and responsiveness, and is deeply committed to taking care of people: our employees, partners, customers, and those in our community. Our Management processes and procedures are based upon ISO 9001, ensuring a structured management and organizational approach providing standardization and continual process improvement at all levels. Our Information Technology (IT) Services are based upon ITIL 2011. Titania has established business processes that include CMMI and PMBOK best business practices, with our IT Solutions Unit having been appraised at CMMI-DEV Level 3 in February 2017. This established and recognized set of processes, procedures, tasks and checklists enable Titania to provide identifiable and repeatable IT Services that can seamlessly be integrated. Titania is committed to best employment practices and as such, is Department of Homeland Security ICE Image certified. Headquartered in Warrenton, Virginia, Titania also has an office in Sierra Vista, Arizona. We provide on-site support to customers at Fort Huachuca, AZ; the William J. Hughes Technical Center, NJ; Fort Bliss and Goodfellow Air Force Base, TX; Crystal City, VA; and the Pentagon, VA.
Titania is led by a veteran team of professionals who have served their customers with distinction for many years and is laser focused on taking care of people; be they our valued staff, partners and customers, or the men and women in uniform serving the nation. These individuals bring to Titania a broad range of business, technical, and management capability as well as experience with a diverse array of Federal Agencies. Each member of our leadership team has demonstrated a commitment to providing services of excellence in solving the critical missions of our customers to our customers. Ms. Jodi Johnson has been a leader in the defense services and federal market sector for more than 25 years. Ms. Johnson has experience in military and federal engineering, operational intelligence and technical and IT services business space. With experience in both the privately held and publicly traded company sectors, Ms. Johnson’s vision, support, and leadership emphasizes exceptional customer service, care of employees and partners, business development and growth, mission services operations and organizational and personnel development as well as recruiting and retention. In addition to leading transitional activities for three different company acquisitions in 1998 and 2000, Ms. Johnson retained an executive leadership role in each organization throughout the multitude of changes. In 2002, Ms. Johnson Co-Founded Oberon Associates, Inc. and served as its Chairman and Chief Executive Officer until its acquisition by Stanley Associates in July 2008. Prior to its acquisition by Stanley, Oberon closed its fiscal year with 700 employees and $80M in revenue, and pushed to an aggressive run rate exceeding $150M for its next fiscal year. In addition to numerous other awards and recognitions, Oberon was named Contractor of the Year two years running in the greater Washington DC area. The result of their acquisition by Stanley Associates was subsequently named Deal of the Year in 2009. Today at Titania Ms. Johnson has returned to the small business environment and is working with an exceptional team developing the company to be the go-to employer and partner of choice in the industry. Already supporting new customers, as well as legacy clientele, Titania is focused on delivering services of excellence and value and is working to support critical programs that assist and defend our Nation. She is also very active supporting the Community Foundation of Northern Virginia, Northern Virginia Family Service (NVFS), SERVE Shelter, Head Start and Bright Star programs, Vint Hill Transitional Housing, Highland School, Wakefield School, Bethel High School, the Rebound Club, Special Olympics, cancer research programs including Relay For Life, the Fauquier Food Bank, and support to the men and women serving the nation through numerous military, veteran and their families focused charities. Additionally, she regularly speaks on matters of small business incorporation and development, mentoring, and work force topics. Ms. Anne Pappalardo has extensive experience in government contracting working in both technical and corporate positions within the defense and health sectors. Ms. Pappalardo’s involvement with small, medium and large companies as well as both public and privately held companies has provided her with a broad spectrum of knowledge including finance, contracts, systems engineering, testing, and project management. As Chief Financial Officer of Buccaneer Computer Systems & Service, Inc., Ms. Pappalardo was responsible for accounting, finance, contracts, procurement, pricing and was involved in the strategic direction of the company. Buccaneer grew to 800 employees and nearly $100M in revenue in 10 years before being acquired by Vangent, Inc. Ms. Pappalardo provided financial and contractual support for the Vangent acquisition, which occurred in 2010 and then continued on to help with the Vangent transition as Vice President of Finance. In 2010, Buccaneer was named Contractor of the Year for the greater Washington DC area. A year later, General Dynamics acquired Vangent, and Ms. Pappalardo was a Finance Director for the Health Solutions Group at GDIT aiding in that transition. Ms. Pappalardo joined Titania as its Chief Financial Officer, and she also provides support to various segments within the company. While playing basketball on a Division I scholarship, Ms. Pappalardo earned a Bachelor’s Degree in Business Administration from George Washington University. She continued her education by earning a Master’s Degree in Business Administration from George Washington and a Professional Accounting Certificate from Northern Virginia Community College. Ms. Pappalardo is a Certified Public Accountant (CPA). Ms. Pappalardo has two stepchildren who have graduated from college and two children who attend Highland School and Linton Hall School where she is active in volunteering and support. Mr. Robert Boucher possesses extensive government and commercial IT contracting experience with a strong focus on the federal health sector. His technical experience spans a wide range of disciplines, including client/server software development, web development, database management and development, system administration, capacity planning through load testing, as well as technical and project leadership. Mr. Boucher graduated from James Madison University with a Bachelor of Science degree focusing on Computer Science and is a certified Project Management Professional (PMP). In his most recent position prior to joining Titania, Mr. Boucher served as Chief Information Officer of Buccaneer Computer Systems & Service, Inc. Included among his many duties were to enhance and maintain the company’s infrastructure, develop corporate IT policies, and meet regularly with other executive leadership to anticipate new requirements as the company grew. As an early employee in 2000, Mr. Boucher helped guide Buccaneer from just a handful of staff to nearly 800 by the time the company was acquired by Vangent, Inc. in 2010. Mr. Boucher played a key role throughout the transition efforts, ensuring that the migration and merging of systems proceeded smoothly. In addition to Mr. Boucher’s duties managing Buccaneer’s internal infrastructure, he also continued to directly support Buccaneer’s federal customers on a full time basis with exemplary performance that consistently earned accolades. These services ranged from projects requiring the development, implementation, and administration of a web-based application using the Linux, Apache, MySQL, PHP software stack to leading a team responsible for the administration of a 120+ server infrastructure spanning multiple software development life cycles in support of an Apache, J2EE, Oracle Database web based application. Mr. Boucher joined Titania as Chief Technology Officer in 2014. As CTO, he provides technical guidance to Titania’s project efforts and business development activities; establishes strategic technical goals for internal corporate initiatives; and manages internal corporate systems. Mr. John Hathaway brings to Titania an array of demonstrated technical leadership and expertise in all phases of the software development lifecycle. He specializes in implementing transformative architectural and cultural change, building cutting edge solutions that utilize state of the art Agile, DevOps, and cloud based architectures. Mr. Hathaway graduated from Siena College with a Bachelor of Science degree in Computer Science. His experience includes defense contracting with the Navy, Air Force, and Army as well as the commercial sector in several S&P 500 firms in the Media, Financial Services, Medical Devices, and Pharmaceutical industries. Mr. Hathaway’s recent experience is with firms in the commercial financial services sector to drive the transition to Agile software development in cloud based and hybrid computing environments. These firms included Morgan Stanley, Bank of America/Merrill Lynch, and Dow Jones. At Dow Jones, Mr. Hathaway led an effort to move legacy systems to an Agile/Scrum development process while enabling DevOps and deployment to the cloud via Amazon Web Services. He also led the development effort to architect and build a low latency auto-publishing platform for the Wall Street Journal that allowed publication of real-time news to algorithmic traders. Data generated by this platform is fed to mission critical financial trading applications and can be converted to headlines which can be seen on news tickers around the world including the Times Square News Ticker in New York. At Morgan Stanley and Bank of America/Merrill Lynch, he provided direction to converge enterprise applications to modern DevOps practices including standardizing the infrastructure software installed on 160,000 servers running Linux and Windows Operating systems in a hybrid cloud environment. Prior to his work in commercial sector, Mr. Hathaway concentrated on software development, building systems for the defense industry. He started his career with Raytheon building embedded software for Sonar systems on submarines, moved to creating communication software for GTE Government Systems. Mr. Hathaway moved to Mystech Associates, a predecessor to Titania, where he was a Technical Director responsible for the strategic and technical leadership across company U.S. Army Intelligence and Command and Control projects including the Warrior and Warlord C3I systems. These systems used rapid prototyping and were developed alongside of soldiers in the field and hardened into first class, distributed, mission critical systems. Mr. Hathaway joined Titania in January of 2018 as Technical Director and is focused on supporting the HCQIS Independent Verification and Validation Support (HIVVS) Contract with the Centers for Medicare & Medicaid Services (CMS). He provides technical expertise that allows for the automated testing of CMS applications using Agile development and DevOps practices. John, his wife, Kathi Jo and their daughter Annie reside in New Jersey. John Hibbert (Hib) brings a diverse set of technical and leadership skills to Titania that he developed over the past 25 years as a U.S. Army Intelligence Veteran and federal Information Technology contractor. Prior to joining Titania, Mr. Hibbert was Vice President of Information Technology for Oberon Associates, Inc. where he managed a global team of engineers and software developers supporting DoD and other federal agencies. Mr. Hibbert joined Oberon shortly after its inception and after 5 years of rapid growth, Oberon was acquired by Stanley (Stanley) Associates, Inc. Mr. Hibbert was a key member of the executive team through both the Stanley acquisition and a subsequent acquisition of Stanley by CGI Federal. Hib remained in each new organization providing leadership and enabling continued successful mission execution and growth. Before leaving CGI Federal, Mr. Hibbert managed an account of more than 270 employees world-wide. Mr. Hibbert is well versed in the structure and operation of an emerging small business, as proven during his tenure at Oberon. Today at Titania, he is leading the FAA operations, programs, and staff and is involved in other critical areas of growth. Titania is excited to have Mr. Hibbert on its management team. Having worked with Titania founders since his time in uniform, Hib transitioned seamlessly into Titania’s culture and goals of growth. Hib spends a significant amount of time in Northern Virginia, DC, and in NJ supporting the FAA team, customer, and mission. Hib and his wife, Dee have raised their family in the Midwest. Mr. Curt LeMar has over 20 years of leadership experience in the Information Technology field with a focus on systems development, systems engineering and architecture, systems infrastructure, and cloud computing. He has applied his extensive experience, in both privately held and publicly traded organizations, delivering meaningful results to customers in federal health and civilian agencies, along with Department of Defense health and commercial entities. Prior to joining Titania Solutions Group, Mr. LeMar served as Vice President of Cloud and Infrastructure Solutions for the Health and Civilian Solutions Division at General Dynamics Information Technology (GDIT). In this role, he oversaw GDIT’s proprietary FedRAMP cloud, the GDIT Customer Experience Platform call center platform, and the overall cloud computing and infrastructure practices for the Division. He led the migration of over 25 systems impacting 13 clients from on-premise data centers to cloud platforms within three years. Prior to leading the cloud group, Mr. LeMar led a health IT Portfolio of cloud and infrastructure programs with more than 400 staff in diverse technical disciplines providing services to federal health customers. Mr. LeMar is a proud veteran of the United States Marine Corps where he served as a KC-130 Aerial Navigator. In addition to his military experience, he holds a B.S. in Management Information Systems and an MBA with a concentration in Information Systems. Mr. LeMar holds a current Project Management Professional certification. Mr. LeMar joined Titania to build, manage, and lead the Health Services Division. A leader in the Information Technology field for more than 20 years, Mr. LeMar will build value at Titania through his exceptional customer and industry relationships, developing business, and contributing to the organization’s growth strategy. Mr. Keith Miller (Dusty) has more than 36 years of experience in uniform and industry. He served 29 years in the British Army, leading all aspects of intelligence production, dissemination, management and training. A former British Army officer, Dusty has a wealth of knowledge and operational experience in NATO and multi-national intelligence operations, counterintelligence, counter-terrorism, security, Explosive Ordnance Disposal Intelligence, predictive analysis, risk/project management and consultancy, contingency planning, and investigation. Among his many and varied assignments, Dusty played a lead role in the largest Joint Coalition Special Forces’ operation in military history during the 2nd Gulf War. 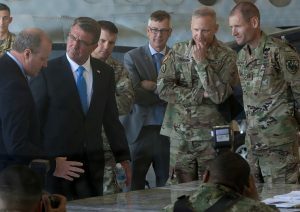 He also managed and directed the All-Source Fusion Cell during the successful NATO certification of the first Rapid Reaction Corps Headquarters. Dusty came to the USA in 2002, assigned to the 5th U.S. Special Forces Group, and deploy­ed less than four months later for Operation Iraqi Freedom in January 2003. He served as the Deputy J2 to the Coalition Joint Special Operations Task Force – West (CJSOTF-W), earning the Ameri­can Bronze Star. Dusty has worked with Titania’s founders and leadership since arriving at Fort Huachuca, AZ, in 2004; joining them at their former company, Oberon, when he retired from the British Army in 2006. Dusty is a Master Instructor, and was Oberon’s Project Lead providing training in critical thinking and creative understanding at the U.S. Army Intelligence Center of Excellence. His experience also includes leading a large company business development team and designing and developing the strategic business plan for their TRADOC account. Before joining Titania, Dusty was the Senior Project Manager responsible for leading a software design and development team for the Distributed Common Ground System – Army (DCGS – A) ease of use program. He also acted as a consultant to the Training and Doctrine Command, Capabilities Manager, Sensor Processing (TCM-SP), on matters relating to doctrine and the intelligence analysis process. At Titania, Dusty is responsible for development, growth, and management of intelligence training programs. He currently leads a critical program developing support to an important customer, the 111th MI BDE, at Fort Huachuca, AZ. Mr. Gerald McIntyre is a proud U.S. Army Veteran of 20 years, also having served as an Intelligence Officer throughout the Army. Mr. McIntyre, while on active duty served in a variety of national, strategic, and operational intelligence positions. His military experience included significant experience as an Enterprise Systems Architect for intelligence systems and software architect developing prototype intelligence processing and simulations and modeling programs. After serving with the 307th Military Intelligence Battalion during Desert Storm, Mr. McIntyre’s last position in the army was as the Chief of the Army Intelligence Battle Command Battle Laboratory (BCBL), Battle Technology Laboratory. Upon retirement from the Army in 1995 he joined Mystech Associates serving as Director of Operations at the Ft. Huachuca office, continuing to develop advanced intelligence and simulations systems. Under Mystech, and eventually Northrop Grumman, Mr. McIntyre was responsible for the development of the C4I Interfaces supporting WARSIM 2000 in Orlando, Florida. This effort required significant system architecture, software design and development activities in support of this constructive simulation program. Mr. McIntyre joined Oberon in 2013 as a Systems Architect in charge of advanced development software applications for DISA, including the position as a Branch Systems Architect assisting in the development of the DISN Operational Support System (OSS) enterprise architecture. Mr. McIntyre transitioned to CGI when they acquired Oberon, and served as the Chief Engineer on the Biometrics Automated Toolset (BAT) Program under PEO EIS and PM Biometrics. This effort required engineering management of software development and maintenance teams in CONUS dispersed locations. This effort also culminated in the enterprise level architecture development of the follow-on and more advanced biometric systems for PM Biometrics. Mr. McIntyre’s last position within CGI was as the Director for the Biometrics Systems Integration Laboratory (SIL) responsible for systems architecture development of advanced biometrics solutions. Mr. McIntyre joined Titania in May 2012, now the third company that Jodi Johnson and Dave Young have founded and led. As Vice President for Technology, Mr. McIntyre is responsible for advanced technology decisions and strategic mapping supporting Titania’s growth goals. This includes system and enterprise architecture development for a variety of programs and functional areas including, Cyber, Biometrics, Intelligence, Communications, E-Learning, and Test and Evaluation. Mr. McIntyre is currently the Agile Subject Matter Expert (SME) and Titania’s Deputy Project Director for the HCQIS Independent Verification and Validation Support (HIVVS) Contract with the Centers for Medicare and Medicaid Services (CMS), providing both Agile development expertise and development of an automated testing framework. Mr. Bill Clappin brings a broad range of technical and leadership skills to Titania developed over the past 36 years in government service and industry. Bill is a U.S. Army Veteran of 23 years. His service includes 5 years at the tactical level as a linguist and an Electronic Warfare operator. He earned his commission in 1985 from the Officer Candidate School (OCS). Bill has served in positions ranging from Squad-level to Commander; Battalion through Army Staff Officer; and as a National Agency Operations Officer organizing and leading integration and support to military operations from the national agency level. While in uniform, Bill served over 8 years with the National Security Agency (NSA). He also served 2 years on the Army Staff coordinating Congressional Affairs for Force Development (ADCSOPS-FD) through a period of rapid change. His final assignment was with INSCOM’s Army Cryptologic Operations (ACO) office at NSA. He retired from the Army in mid-2001. Following his military service, Bill served as an NSA civilian (GS/GG14), working as the Technical Leader for a ‘black-world’ program providing Computer Systems Development, Information Management, & Intelligence Tradecraft. Bill has been in defense contracting since late 2002 in roles ranging from support to the Joint Interoperability and Test Command (JITC) in Arizona, to building and managing business operations and growth at NSA in MD, managing and developing business support to U.S. Army Intelligence Center of Excellence (USAICOE), and developing support to the Army’s Training & Doctrine Command (TRADOC). At Titania, Bill is responsible for providing support to the Department of Defense and national intelligence programs. Mr. Scott Lusebrink is a key technologist who has been involved with the founders since graduating from Penn State University with a Bachelor of Science degree in Computer Engineering. He has primarily focused on web development technologies, with an emphasis on utilizing Java for backend development. Recent project efforts have also added SharePoint Administration and Information Management/Knowledge Management and Sharing expertise to his technical credentials. Other areas of experience include Windows/Linux System Administration, Oracle Database Management, Tomcat configuration, and automated testing using HP Unified Functional Testing. Mr. Lusebrink holds Security+ and Linux+ certifications. Prior to joining Titania, Mr. Lusebrink had a long term position providing technical support for critical DISA programs. In support of a DISA portal project, he initially joined the program right out of college and, following subsequent promotions, took on a technical leadership position and served in that capacity until DISA moved from Northern Virginia to its new headquarters on Ft. Meade. In Titania’s early days, a multi-talented developer and technologist was needed to enable Titania to respond to a variety of customer requirements and opportunities. Mr. Lusebrink brought this extensive technical ability. Eager to be a part of the growing company, Mr. Lusebrink quickly joined the team and has been a critical contributor in getting many customer project efforts off the ground. He also provided key internal support to ensure the corporate infrastructure was operational and able to facilitate company growth. Recognized for his many contributions as well as his ability to mentor and develop junior staff, in 2015 Mr. Lusebrink was promoted to Technical Director and has been accepted to participate in the inaugural class of Titania’s Leadership Development Program. Today, he is supporting the FAA Unmanned Aircraft Systems (UAS) program in their efforts to integrate UAS (drones) into the National Airspace System. Scott and his wife, Rachel, and their son Demitri reside in Northern Virginia. NIH’s mission is to seek fundamental knowledge about the nature and behavior of living systems and the application of that knowledge to enhance health, lengthen life, and reduce illness and disability. Deliver value and savings in real estate, acquisition, technology, and other mission-support services across government. In support of this mission, Titania provides Healthcare Quality Reporting System Independent Verification and Validation (IV&V) for the Centers for Medicare and Medicaid. In conjunction with our federal partners we designed and developed the architecture for the healthcare application Automated Test Frameworks (ATF). Our implementation of a Software Testing Strategy and Governance for all development contractors and programs under the Centers for Medicare & Medicaid Services (CMS)/ Health Care Quality Information System (HCQIS) became the standard for testing for the agency including over 30 Information Systems Group (ISG) quality reporting applications. Our work on the Integrated Testing Model and Standard Operating Procedures (SOPs) articulates all the policies and procedures for all contractors within the program. We were responsible for the establishment of the Integrated Testing Model and the SOPs ensured commonality of testing processes for 3 other development contracts and over 10 other contractors. 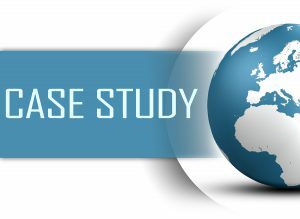 AS a follow-on to the implementation of the integrated testing model and standard operating procedures, Titania performed formal Audits and courtesy Gap Analyses to assist other program contractors to improve compliance with policies and procedures. To keep the CMS leadership informed, we also developed a dashboard illustrating compliance with established policies/procedures. Titania team members serve and vote on several CMS governance boards including the CMS HCQIS Governance Steering Committee (GSC) and working groups articulating stakeholder requirements for configuration, quality, and regulatory compliance. In June 2016, Titania was awarded a multi-year contract to deliver IT professional services to the Centers for Medicare & Medicaid Services (CMS) as well as other Department of Health and Human Services (HHS) agencies under the $25B multi-award, IDIQ Strategic Partners Acquisition Readiness Contract (SPARC) contract. 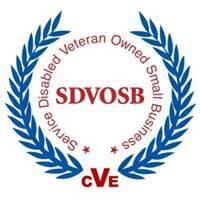 Titania won awards within the Small Business, Woman-Owned, and Service Disabled Veteran-Owned socioeconomic categories. The contract includes a base ordering period of 5 years plus an optional ordering period for an additional 5 years and can be employed by any agency within HHS Services provided under the vehicle closely align to software development life cycle stages to include requirements management as well as application design, development, testing, and on-going sustainment. Titania supports the FAA in achieving its mission and goals by providing IT Services and program management support to the Unmanned Aircraft Systems (UAS) Integration Office. Titania was chosen to support the agency in achieving its congressionally mandated establishment of six UAS Test Sites across the United States. These test sites conduct research and testing to inform the FAA on how to safely integrate UAS into the National Airspace System (NAS). In support of the Test Sites, Titania developed the Mission Logging System (MLS), The MLS provides the FAA the ability to collect, analyze and report, operational flight data as well as associated research information. The system also provides tools the test sites use to manage quarterly and annual reporting. Dynamically generated metrics and dashboards are a key component of the MLS and they provide real-time operational reporting to senior FAA executives on a weekly basis. Additionally, Titania also developed the Research Portfolio Management System (RPMS) and Research Inventory Mapping (RIM) System. 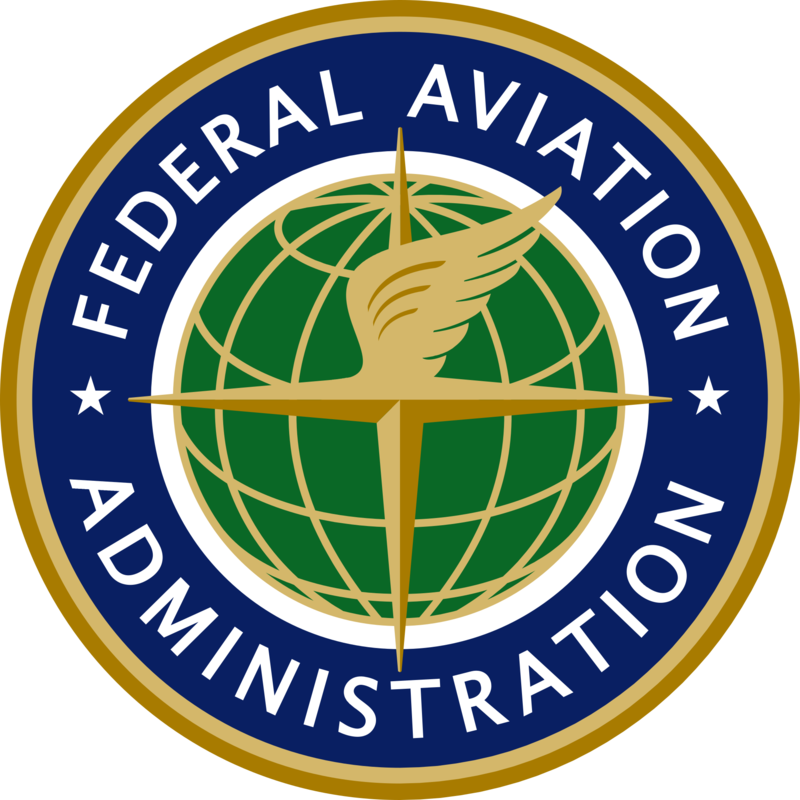 The FAA and external research partners such as the Department of Defense (DoD), National Aeronautics and Space Administration (NASA), universities, and other federal agencies use the RPMS and RIM to automate the process of assigning, tracking, reviewing, approving, storing, and searching for FAA research projects. In addition to developing IT systems and tools, Titania provides the UAS Integration Office with program support including business process definition and engineering management, development of analysis and metrics tools and techniques, and in managing the day-to-day activities associated with the rapidly evolving rules, policy, and laws relating to the public and civil operation of UAS. eFAST is the FAA’s preferred contracting vehicle for small business contracts. eFAST streamlines the procurement process for all stakeholders using a web-based acquisition tool and automated workflows compliant with applicable FAA standards. Period of performance: September 9, 2017 to September, 30, 2024. 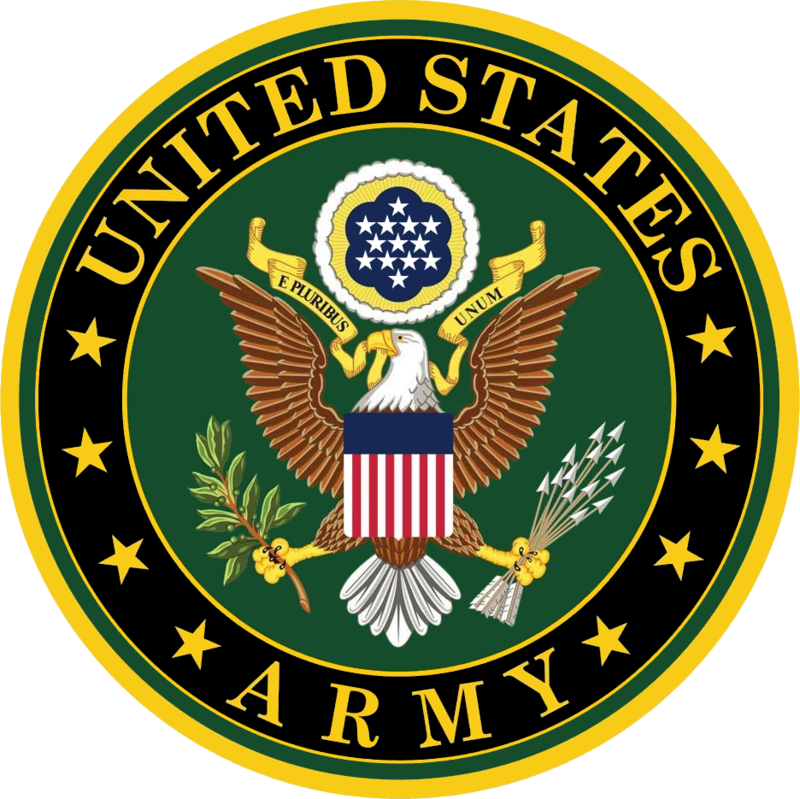 Titania supports the United States Army mission in several areas with targeted expertise. In support of the Army Intelligence Campaign Initiatives Group (AI-CIG) we provide technical and analytical cybersecurity expertise and associated intelligence disciplines including Measurement and Signal Intelligence (MASINT), Signals Intelligence, (SIGINT), Imagery Intelligence (IMINT), and Counter Intelligence/Human Intelligence (CI/HUMINT). We provide sustainment and development support of the Automated Assessment Tool, the Military Intelligence Investment Strategy (MI2S) decision support system, and the Force Development Investment Information System (FDIIS). We provided strategic and technical level assessments and strategies in the area of cyber offensive and defensive tactics and techniques to AI-CIG. Our staff includes cyber experts who are regular level one lecturers on the cybersecurity speaking circuit. Titania possesses superior capabilities and competencies delivering world-class operational intelligence and training support. Our expert intelligence analysts, harvest and handle the collection of daily reporting from military ground units supporting real-world missions, and provide research and analysis support to the Army’s Human Terrain System. Titania is critically involved in designing, developing, and integrating training events and solutions in support of the U.S. Army Intelligence Center of Excellence (USAICoE), Training & Doctrine Command’s (TRADOC) G2, and Army units in garrison. Titania’s Subject Matter Experts (SMEs) and software engineers deliver exceptional research, study, analysis, development, and integration of products, encompassing the training information infrastructure, materials, services, and facilities to enable training that develops and sustains Soldier and Leader competence across all training domains. Our experienced SMEs include professionals with international, joint, and coalition experience; specialized SMEs from academia; nationally published Cyber experts; skilled all source analysts; and combat arms experts. We deliver unmatched distinctive and valuable knowledge and skills. Titania’s training cadre provide a flexible application of industry best practice and Department of Defense (DoD) instructional methodology using government approved instructional systems design models, automated tools, and a variety of Learning Management Systems. Our approach identifies strengths and weaknesses resulting in clear courses of action for sustained training success. Titania provides supported elements of DoD and the Intelligence Community with quality instruction and agile ability to adapt to rapid changes in educational approaches while continuing to meet the needs for developing and sustaining highly competent, resilient, and adaptive DoD intelligence professionals. Additionally, Titania provides support to the Joint Counter-Intelligence Training Academy (JCITA). GSA Schedule 70 is the most widely used acquisition vehicle in the federal government. Schedule 70 is an IDIQ contract administered by the Federal Supply Service of the General Services Administration. As a GSA contractor under FSS Schedule 70, Titania may provide an array of IT products and services, including software, professional and electronic commerce services, training, and equipment. Any agency of the U.S. Government may take advantage of Schedule 70 task orders to secure products and services in a variety of skill areas, including systems analysis, design, and installation; programming; and integrated logistics support. The Professional Services Schedule (PSS) is an IDIQ multiple award schedule, providing direct access to simple or complex fixed-price or labor-hour professional services. As a GSA PSS contractor, Titania can provide business consulting, professional engineering, and training services. Using the streamlined procurement procedures via the Federal Supply Schedules, PSS offers all federal agencies access to Titania’s schedule. The PSS consists of seven formerly separate schedules that were consolidated in 2015 to give federal agencies the ability to obtain total contract solutions for their professional services requirements using one contract vehicle. 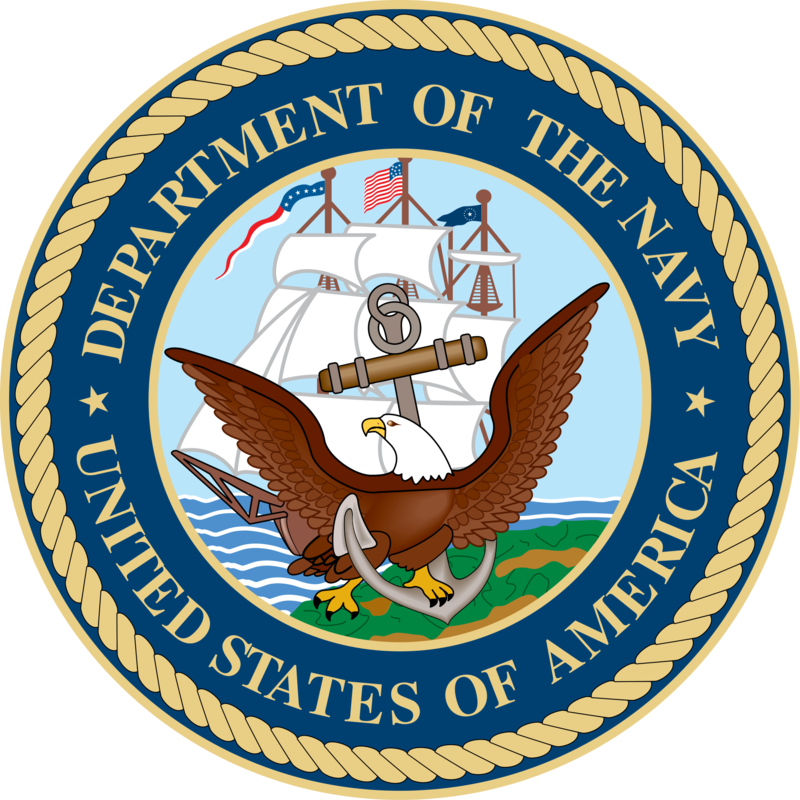 In supporting the mission of the United States Navy, Titania provided enterprise level support services to the Department of the Navy Assistant for Administration (DON/AA) for existing ASP .NET, C#, SharePoint, and Java web-based and client-server applications. We also provided system administration on the DON/AA Information Technology Division cloud-based environments in the Defense Information Systems Agency (DISA) MILCLOUD, SPAWAR private web services, and AWS cloud public facing web service in the .mil global top-level domain. Additionally, Titania directly supports the Secretariat IT systems and networks by performing computer network vulnerability testing ensuring the security of these systems. Services provided under the SeaPort – NxG IDIQ will span the entire spectrum of mission areas and technical capabilities supported by the Department of the Navy (DON) ordering activities. Services are divided into 23 functional area subcategories listed under the Engineering Services and Program Management Services categories below. Services may be performed under this contract for new and existing product areas, programs, or missions, which are assigned to these activities during the life of the contract. ELIGIBLE USERS: All federal agencies may place task orders against this contract. The Chief Information Officer – Solutions and Partners 3 (CIO-SP3) Small Business Government-wide Acquisition Contract (GWAC) is a ten (10) year Indefinite Delivery/ Indefinite Quantity (IDIQ) contract. This contract is intended to provide information technology (IT) solutions and services as defined in FAR 2.101(b) and further clarified in the Clinger-Cohen Act of 1996. These IT solutions and services include, but are not limited to, health and biomedical-related IT services to meet scientific, health, administrative, operational, managerial, and information management requirements. The contract also contains general IT services partly because medical systems arFe increasingly integrated within a broader IT architecture, requiring a systems approach to their implementation and a sound infrastructure for their operation. Through this contract, the National Institutes of Health (NIH) Information Technology Acquisition and Assessment Center (NITAAC) will award multiple IDIQ contracts under which federal government agencies can award task orders to acquire IT services. These task orders will employ various pricing arrangements such as Firm-Fixed-Price (FFP), Cost-Plus-Fixed-Fee (CPFF), Cost-Plus- Award-Fee (CPAF), Cost-Plus-Incentive-Fee (CPIF), and Time-and-Materials (T&M), all of which are to be issued in accordance with the Federal Acquisition Regulation (FAR). Our dedication to excellence coupled with our experience in uniform, in government service, and in building and leading engineering service organizations provides us a unique perspective to address our client’s challenges. Federal Health Agencies that routinely operate, store, and analyze U.S. citizens’ PII and/or PHI data require partners who are cognizant and experienced with cybersecurity best practices and who build systems with that awareness in mind. To truly leverage existing and new technologies that enable organizations to maximize their services while containing their costs, the organization must implement an enterprise-wide strategy and architecture. Titania provides Federal Agencies with the ability to lead and support the full spectrum of test efforts under a wide array of system implementations and software development life cycle methodologies. 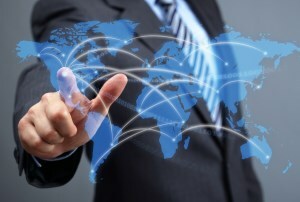 Our Information Technology (IT) Services are based upon ITIL 2011. Titania has established business processes that include CMMI and PMBOK best business practices, with our IT Solutions Unit having been appraised at CMMI-DEV Level 3. Titania provides expert intelligence analysts, harvesting and handling the collection of daily reporting from military ground units supporting real-world missions, and provided research and analysis support to the Army’s Human Terrain System. Titania has established itself to be an emerging small business leader in providing Healthcare Information Technology (IT) services to the Federal government. This is especially important where PII and PHI are involved. 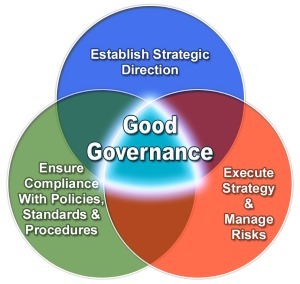 IT Governance is defined as the processes that ensure the effective and efficient use of IT in enabling an organization to achieve its goals and more effectively serve its constituents. To that end, we have developed sophisticated models incorporating best practices, policies, and procedures for a wide range of life cycle methodologies. 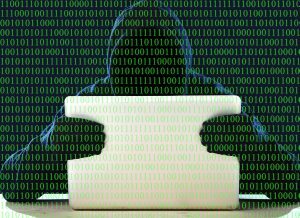 Cybersecurity and safeguarding information are at the forefront of many federal agency executives’ minds. Seemingly with each passing day, news of a new vulnerability or system breach is reported that impacts the security or privacy of commercial or government systems. Today’s Federal executives require partners who are cognizant and experienced with cybersecurity best practices and who build systems with that awareness in mind. It is especially critical for Federal Health Agencies that routinely operate, store, and analyze U.S. citizens’ PII and/or PHI data. Systems that store this type of data pose unique constraints and must follow strict protocols prior to being deployed for production or public use. Titania is a valued partner to our Federal Health and other federal agency customers in working within these regulations and providing support towards effective and improved information assurance practices. Cyber related data extraction, transformation, and loading from disparate cyber defense resource data sources throughout the DoD. Developed the business logic and intricate visualization integrated into DoD intelligence collaboration tools in support of the Office of the Under Secretary of Defense (Intelligence) to ascertain and prioritize the utilization of cyber resources and approaches. In support of the Army Intelligence Campaign Initiatives Group (AI-CIG), provided technical and analytical cybersecurity expertise and associated intelligence disciplines including MASINT, SIGINT, IMINT, CI/HUMINT. Sustainment and development support of the Automated Assessment Tool, the Military Intelligence Investment Strategy (MI2S) decision support system, and the Force Development Investment Information System (FDIIS). Strategic and tactical level assessments and strategies in the area of cyber offensive and cyber defensive tactics and techniques to AI-CIG. Cyber experts on staff who are regular level one lecturers on the cybersecurity speaking circuit. Developed a Threat Indicator Matrix and collection tool to map identifying attributes of reported attacks to multiple threat actors. This matrix is used to counteract current and emerging cyber threats. Automated web content filtering blacklist generation to ensure the safety and productivity on the DODIN. Titania continues to enhance its technical capabilities to ensure we provide quality Enterprise Solution Service Support to federal customers in the Department of Defense (DoD), Federal Aviation Administration (FAA), Centers for Medicare & Medicaid Services (CMS)/Department of Health & Human Services (HHS), and Department of Labor (DOL). To truly leverage existing and new technologies that enable organizations to maximize their services while containing their costs, the organization must implement an enterprise wide strategy and architecture. Our team of highly skilled engineers and project managers provides full spectrum coverage through services at the Enterprise, Segment, and Solution Architecture levels. Supporting the Training Brain Operations Center (TBOC) and the DTL, our staff was responsible for gathering enterprise level intelligence (SIGINT, HUMINT, GEOINT) and operational data to rapidly develop databases replicating the operational environment (OE). Support the Cyber system and software architecture design and development for incorporation in the OUSD(I) Cyber Master Plan. At the enterprise level for the DON/AA Information Technology Division (ITD), Titania provided sustainment support services to existing ASP .NET, C#, SharePoint, and Java web-based and client-server applications. Titania supports system administration of DON/AA ITD cloud based environments in the DISA MILCLOUD, SPAWAR private web services, and AWS cloud public facing web service in the .mil global top-level domain. Titania supports computer network vulnerability testing for Secretariat IT Systems and networks. Information Technology systems are rapidly becoming more integrated and complex as federal agencies increasingly embrace Agile development principles and Service Oriented Architecture (SOA) implementations. Thorough Verification and Validation (V&V) of these systems is paramount to ensure agency initiatives are fully satisfied and operational risk is minimized. Titania has established itself as an emerging small business leader in providing Test and Evaluation (T&E) services to the federal government. Our extensive test experience to the Centers for Medicare & Medicaid Services (CMS), Defense Information Systems Agency (DISA), Department of Labor (DOL), Software Engineering Center at Ft. Lee, U.S. Army Training and Doctrine Command (TRADOC), and other federal agencies provides Titania with the capability of leading and supporting the full spectrum of test efforts under a wide array of system implementations and software development life cycle methodologies. Titania possesses significant capability and experience in providing IT Services and programs support to the Federal Aviation Administration (FAA) under two prime contracts. Under our first prime contract, Titania provides The Office of Unmanned Aircraft Systems Integration (AUS) with technical, engineering, administrative, and programmatic support to three key Unmanned Aircraft Systems (UAS) programs to include the UAS Test Site (UASTS), Counter UAS (C-UAS), and the Integration Pilot Program (IPP). Under our second prime contract, Titania provides Counter UAS support to Security and Hazardous Materials Safety (ASH). Leveraged MLS to design and develop the Data Collection System (DCS) in support of the Integration Pilot Program (IPP). Titania possesses superior capabilities and competencies delivering world-class operational intelligence and training support. Titania provides expert intelligence analysts, harvesting and handling the collection of daily reporting from military ground units supporting real-world missions, and provided research and analysis support to the Army’s Human Terrain System. Titania is critically involved in designing developing, and integrating training events and solutions in support of the U.S. Army Intelligence Center of Excellence (USAICoE), Training & Doctrine Command’s (TRADOC) G2, and Army units in garrison. Titania’s Subject Matter Experts (SMEs) and software engineers deliver exceptional research, study, analysis, development, and integration of products, encompassing the training information infrastructure, materials, services, and facilities to enable training that develops and sustains Soldier and Leader competence across all training domains. Our experienced SMEs include: professionals with international, joint, and coalition experience; specialized SMEs from academia; nationally published Cyber experts; skilled all source analysts; and combat arms experts. We deliver unreplicated distinctive and valuable knowledge and skills. Titania’s training cadre provide a flexible application of industry best practice and Department of Defense (DoD) instructional methodology using government approved instructional systems design models, automated tools, and a variety of Learning Management Systems. Our approach identifies strengths and weaknesses resulting in clear courses of action for sustained training success. Titania provides supported elements of DoD and the Intelligence Community with quality instruction and an agile ability to adapt to rapid changes in educational approaches while continuing to meet the needs for developing and sustaining highly competent, resilient, and adaptive DoD intelligence professionals. Titania has established itself to be an emerging small business leader in providing Healthcare Information Technology (IT) services to the federal government. Our extensive experience includes support to the Centers for Medicare & Medicaid Services (CMS) and the Department of Defense (DoD). These efforts provide us with a deep understanding of government healthcare initiatives and legislation. Titania recognizes that simply being a technology provider is not enough. An effective partner must fully understand the agency’s mission and the program initiatives enacted to fulfill those goals. 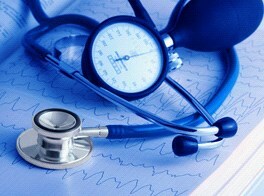 Healthcare expertise in HHS/CMS security and privacy requirements and controls to include FISMA and HIPAA. Titania is a leader in providing Information Technology (IT) Governance services to federal agencies. IT Governance is defined as the processes that ensure the effective and efficient use of IT in enabling an organization to achieve its goals and more effectively serve its constituents. To that end, we have developed sophisticated models incorporating best practices, policies, and procedures for a wide range of life cycle methodologies. Our governance engineers and architects assist our customers in articulating their strategic direction, developing the critical policies necessary to achieve their goals, providing auditable criteria for measuring compliance, and in processing improvement initiatives implementation. We provide training and encourage analysis to highlight areas where standards and procedures can be enhanced. Effective IT Governance ensures greater predictability of project management outcomes and promotes a culture of continuous quality improvement, improving outcomes over time. Our expertise can assist your organization with the benefits of good governance: more focused strategic direction, improved services and products, and more efficient management of the development life cycle. WELCOME TO TITANIA AND THANK YOU FOR THE SACRIFICES YOU HAVE MADE FOR OUR FREEDOM. WE ARE GRATEFUL FOR YOUR SERVICE.